Tis the season for stuffy noses, germs and everything else that Mother Nature throws at you and your body. There are so many different ways that you can get sick this time of year, and colds aren’t fun…at all. If you’re looking for ideas in kicking your cold to the curb, you won’t want to miss out on these simple tips. Just because it’s cold weather, it doesn’t mean that you have to accept that fact that you’re just “going to be sick”. With a few simple steps, you can kick your cold to the curb with ease. Say goodbye to the sniffles and hello to feeling great! These simple tips for staying cold-free are simple and easy to do! Get your rest – The more you sleep, the better you’ll feel. Period. Stay hydrated – Who knew that water could be such a catch-all option for taking care of your body? Get your Vitamin C – Oranges are a great source of Vitamin C and taste delicious as well. Wear a hat when you go outside – Don’t let the hot air escape from the top of your head! Keep yourself warm and snuggly by wearing a hat. Stay positive – If you believe in the power of positive thought, think yourself healthy! Hey, it can happen! Drink bone broth – There are so many amazing health benefits of bone broth that it needs to be on your radar. Take hot showers – Now be careful here…not too hot..but warm or hot showers can be helpful because the steam can help release and unclog your nasal areas. What do you do if you get a cold? Here’s the deal…more than likely, you’ll catch some sort of cold during this time. And let’s be really honest with each other. Colds stink. Like really, really stink. You can’t breathe out your nose, you snore at night, you drool when you sleep because you’re mouth is wide open, you constantly have snot falling out of your nose…and the worst part? Your taste buds are all off no matter what you try and eat. Sometimes, life just isn’t quite fair. Colds always tend to pop up during the most inconvenient times as well. When this happens, fight back! If you get a cold, accept it and then figure out a way to get rid of it. Take care of yourself, your mind and your body and stay positive. Remember that you need to stay hydrated and find over the counter medicine if you need to. There are a lot of great natural products out there that can be of assistance as well. 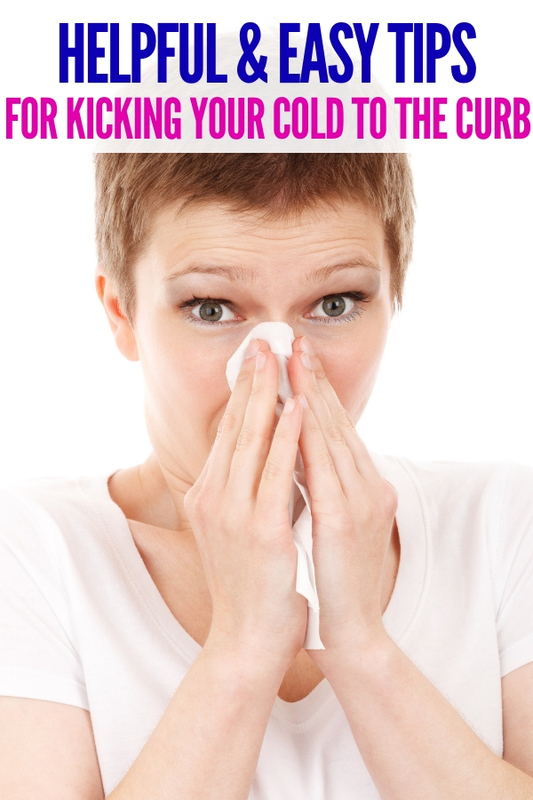 Don’t spend the majority of the cold weather stuck inside because of a cold! You can kick the cold to the curb with these simple tips and ideas. It’s 100% possible to enjoy winter while trying to stay germ-free. 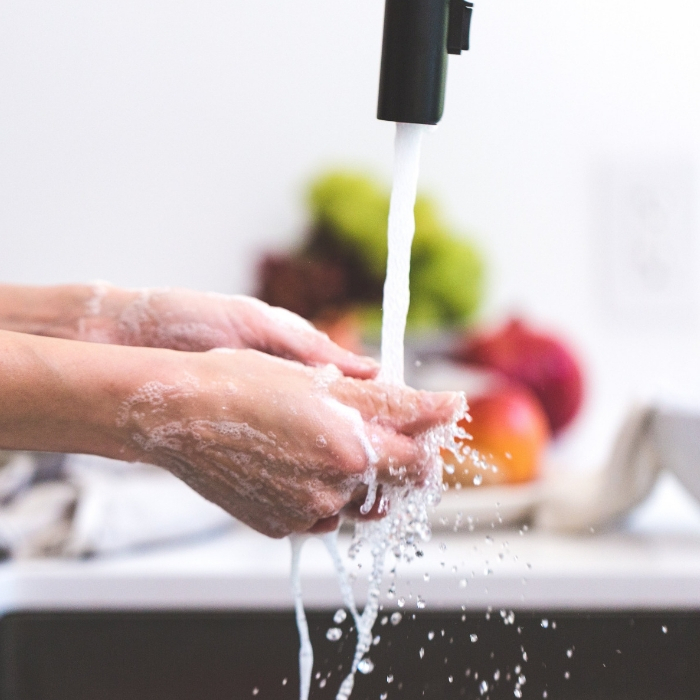 But remember…if you do get a cold, washing your hands often is the best way to stop spreading cold germs to others! Do you have any tips for kicking your cold to the curb?